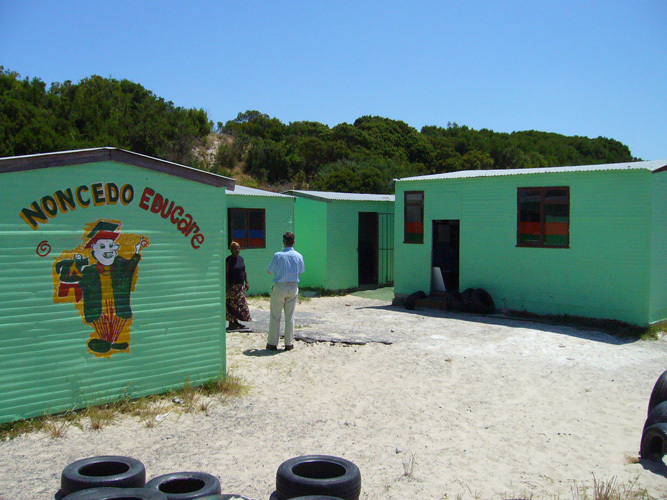 The Noncedo EduCare, in Mfuleni is a well run centre which caters for young black children between the ages of 1 month and 6 years of age. 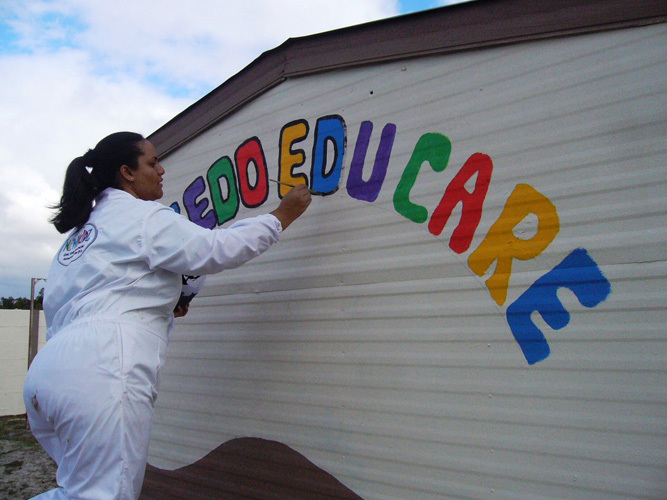 Pinky, the principal, and her staff have a heart for the young children in the community and are making a difference in their lives. Sadly with no extra funds to cover much needed maintenance, the building and grounds are starting to bear the brunt. 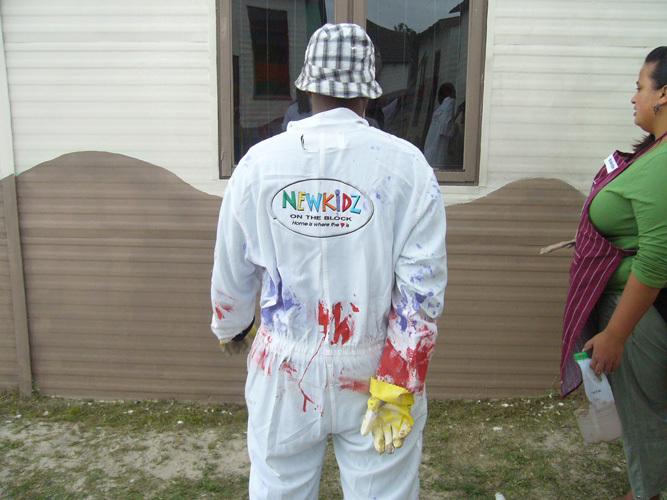 NEWKIDZ saw what they are doing and decided to come alongside them by upgrading their Centre so that Noncedo can move into the league that it deserves, which ultimately will have a positive repercussion on the children attending this centre. 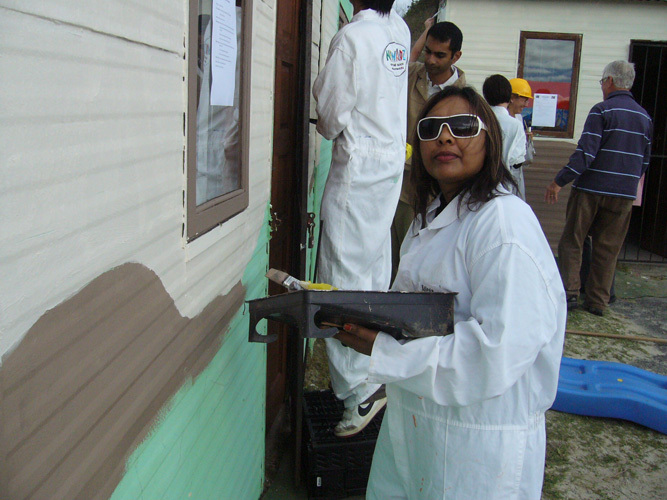 On Friday the 22nd May 2009, a team from the Actuary Department of Old Mutual arrived in Mfuleni ready to change the appearance of Noncedo in just ONE day. Despite the cold weather and threatening rain, the volunteers were in high spirit and after a cup of hot coffee everyone completed a chicken parade by picking up rubble and rubbish on the property before being divided into teams. 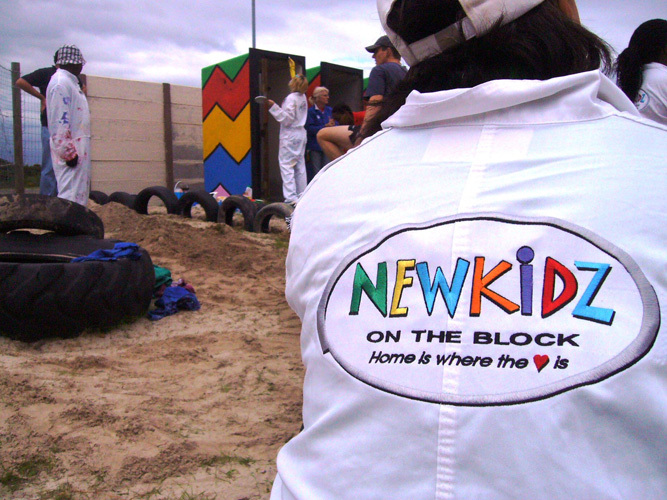 The NEWKIDZ co-ordinators divided the volunteers into 5 teams. 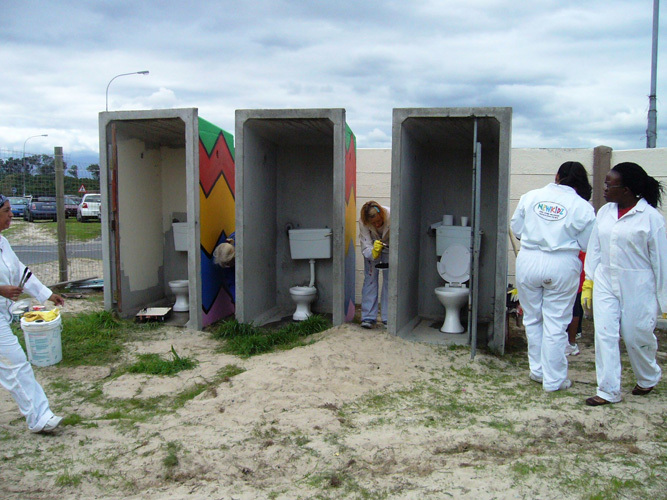 Four of the teams were each assigned a free-standing classroom which had to be painted on the outside and the fifth team was given the task to paint the exterior and interior of the three outside toilets. 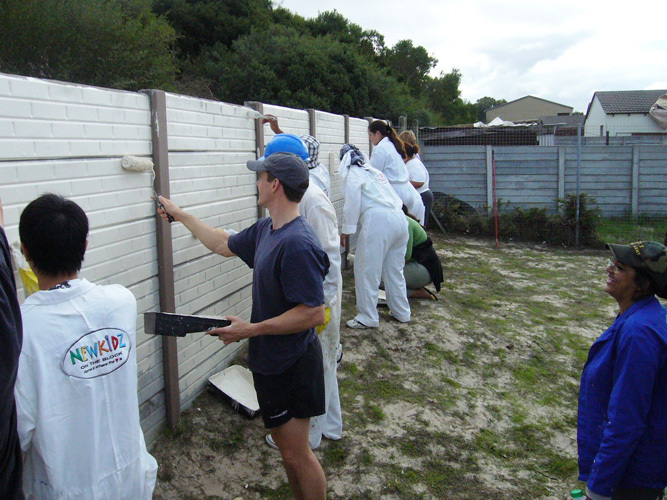 On completion of this task, each team was allotted a certain number of panels of vibrecrete boundary wall which also needed to be painted. 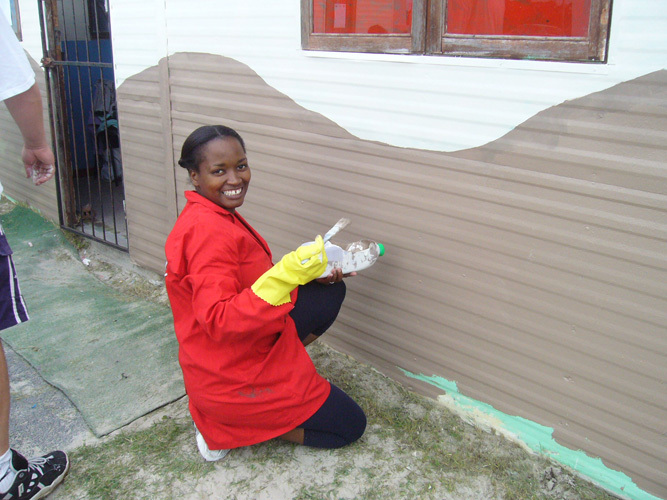 There was a lot of laughter and joking amongst the team members to see who could finish their work first and at the end of a long and rather cold day, the happy faces of the Noncedo staff and children who returned to see their NEW Centre later in the afternoon, made it all worthwhile. 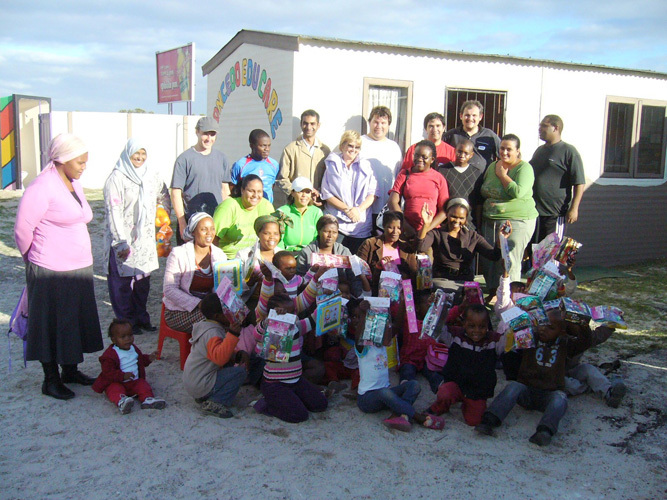 Old Mutual blessed the children and Noncedo staff members with gifts. We were all pretty tired by the end of the day but our hearts were overjoyed that we had had the opportunity to meet new people and had been part of uplifting our community. Giving to someone who cannot repay you is one of the most rewarding experiences in life.